Tanya Powell, retired OR nurse, has over 15 years’ experience in the medical field. 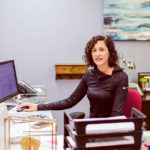 Her generosity, fairness and practical business sense contributes greatly to the continued success and strong business relations she has built and maintained throughout her 10 years with the company. 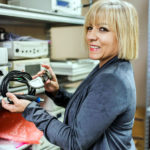 Tanya’s strong sense of servitude manifests the credibility Medical Equipment Solutions has earned and continues to depict. Dennis Kirk, having graduated with an Associate of Arts and Communications Degree, effectively handles our day to day transactions. 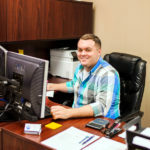 Dennis successfully correlates many aspects of the business, having worked in nearly all departments since he first joined our team in 2013. 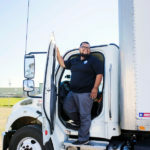 Francisco Reyna, also with a business management background, facilitates the removal and transport of every piece of equipment that transfers through Medical Equipment Solutions. Cisco’s management and bilingual skills are invaluable to us, the medical facilities we serve and our business relations in all Spanish speaking territories. Bonnie Revia, our multi-talented one, brings a background of business ownership and management, marketing skills, communications, sales, office skills and more – all of which contribute to the success of procuring and servicing the 180+ medical facilities we currently maintain. Bonnie’s honesty and integrity are evident to her co-workers and the hospital executives she meets, while her communication skills allow her to represent our company with the dignity we epitomize.